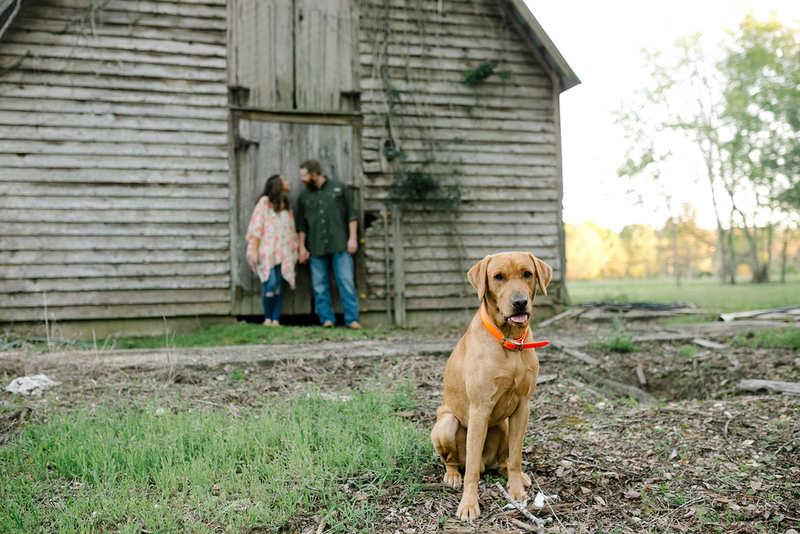 I knew that Melanie & Zack's engagement session would be fantastic. I just didn't realize just how fantastic until I showed up to Zack's family's land a few weekends ago. If you know anything about me, I adore shooting in nature. Hands down, I would shoot in the most rustic, nature-y locations all day if I could. Not only was the property gorgeous, it has a lot of history as it's been in Zack's family for four generations. 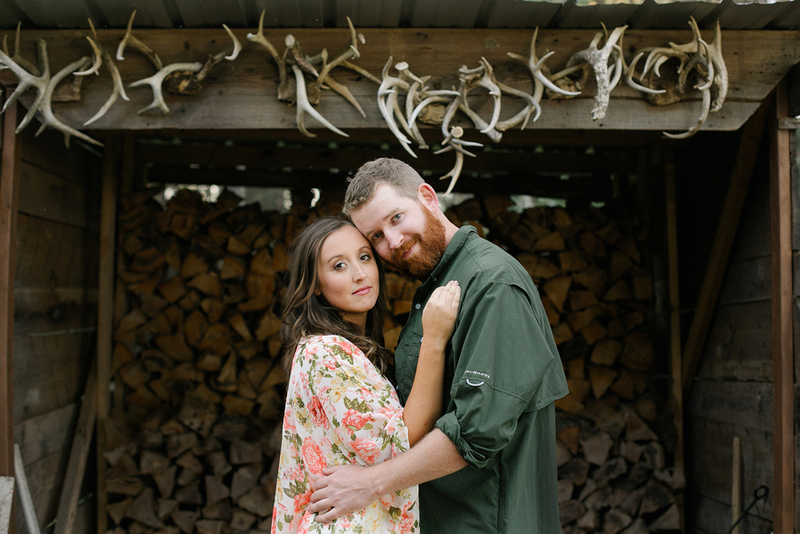 I can't imagine what life was like on the land a hundred years ago, but my little romantic heart thought it was awesome that the original owner's great grandson brought his fiancé there to capture such an important time in their lives. We immediately went off the beaten path a little bit to get to a dam Zack's great-grandfather built. The light was gorgeous as it brought out different shades of greens and yellows behind the wooden structure over the dam. The sound of the dam was so relaxing as well. I could have laid down and taken a nap. On our way out, I pointed out a huge stretch of felled wood that I thought would be gorgeous in photos. I loved the texture of it. I also noticed some white flowers that I've been seeing pop up all over during spring for the past few years. I now know that they are called "Cherokee Rose," thanks to Zack's environmental knowledge as a wetland conservationist. We finished up near the house that Zack's great grandfather built. We shot with Melanie and Zack's three dogs and then they were so kind to lay down in some beautiful grass for me. These two are so fun, and kind, and quirky. . .my kind of people. 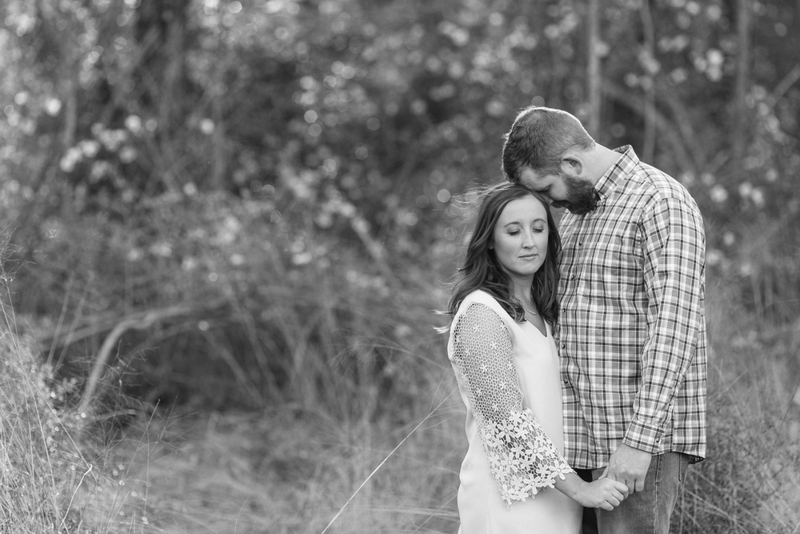 I can't wait for their wedding in December!